Picture this: you rush home from work after a long, stressful day and begin to prep your dinner (or, let’s be real, order that Pad Thai for the third time) before you head to bed to start the work day all over again. While we all quest for those elusive “eight-hours” of sleep, the stress we feel throughout the week can not only hinder our sleep routine but can cause havoc to our skin. Thankfully, there are ways to prevent waking up without looking like you’ve been hit by a truck. Here are some fun and easy ways to treat yourself while you get all snuggled in those cozy sheets. If you haven’t heard about the benefits of a silk pillowcase yet, LISTEN UP. Not only does silk prevent skin wrinkles, it helps to keep your multi-skincare routine in check as it won’t draw away moisture from your pores like other fabrics. Plus, it also aids in reducing bed-hair and split ends as the silk fibers don’t create friction with your hair while you toss and turn. 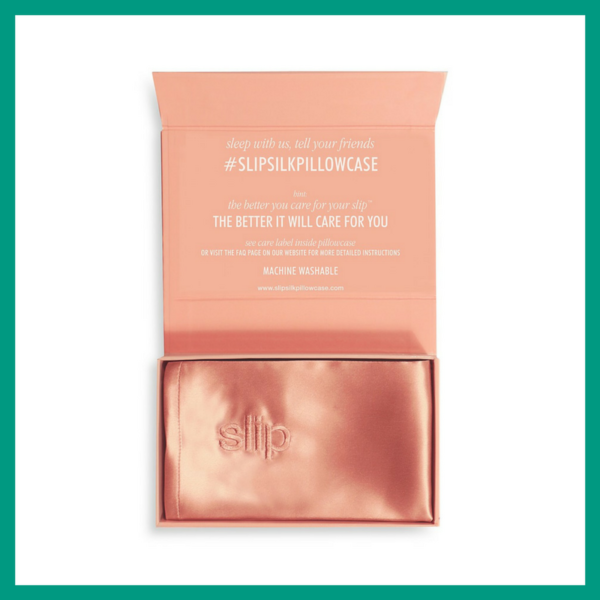 ‘Slipsilk™’ Pure Silk Pillowcase not only comes in a variety of colors, they also arrive at your door with the tagline: “The better your care for your slip, the better it will care for you.” DONE. Much can be said about our nightly beautification routine. Yes, it’s long, yes, it’s luxurious and yes, we LOVE it. To shake things up, though, we recommend adding a sleep mask into the mix a couple of times a week. Specifically formulated to work while you sleep, masking while getting your ZZZ’s is as genius as matcha ice cream. 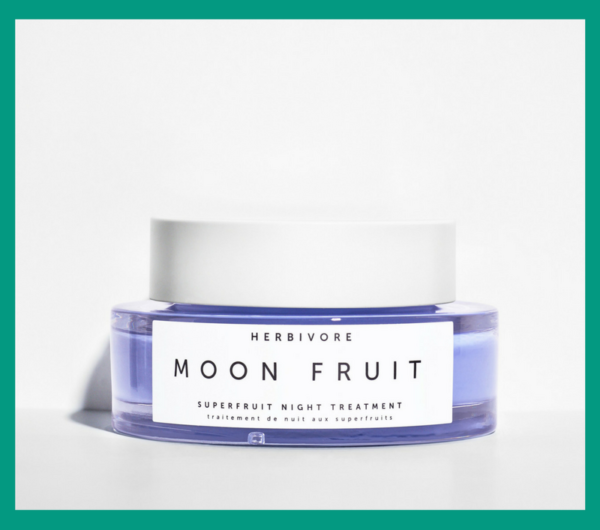 Herbivore Moon Fruit Superfruit Night Treatment, for instance, is lavender hued and full of itsy bitsy goodness like goji berry, prickly pear, and raspberry seed, which allows your skin to detox all that stress while you sleep. We’re big fans of creating a sanctuary in our bedrooms, and believe that it is a huge contributing factor to getting that “beauty sleep.” Our most recent nightstand add-on is a diffuser. Releasing moisture into the air, and helping your skin stay hydrated, diffusers also help you to relax while you’re sleeping. It sounds like an oxymoron, but we’re talking about ridding that restless, boot camp sleep we’ve all awoken from, and achieving the more restful, deep slumber we long for. Side note, adding essentials oils like lavender or eucalyptus into your new gadget will be your cherry atop a peaceful snooze. 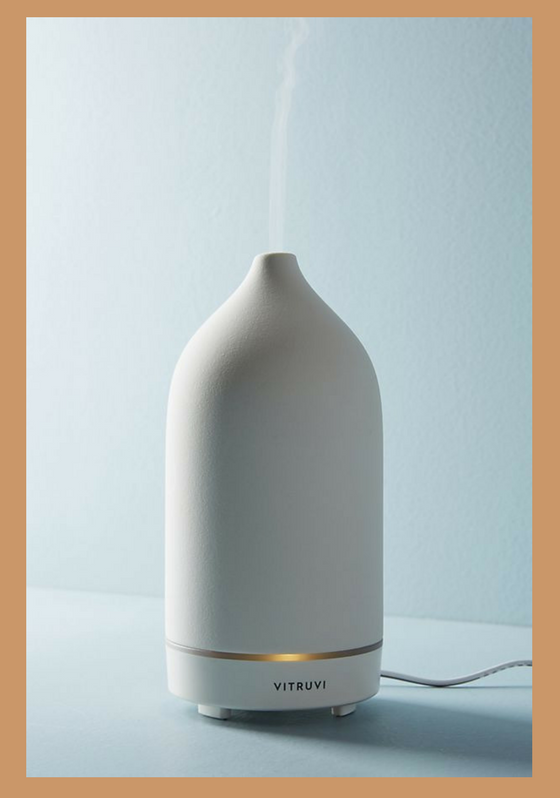 Next time you’re in the market for a diffuser, Virtuvi White Stone Essential Oil Diffuser is a bedroom must. Sleek and chic, we’re drawn to its aesthetic and function. They say that your eyes are the windows to your soul, so let’s start by giving those panes a bit of TLC while they rest. There are a plethora of eye creams on the market that preach about smoothing, firming, and hydrating. No matter what your go-to is label-wise, treating the eyes to a mini facial every night is an easy way to fake like you’ve had that full eight hours. 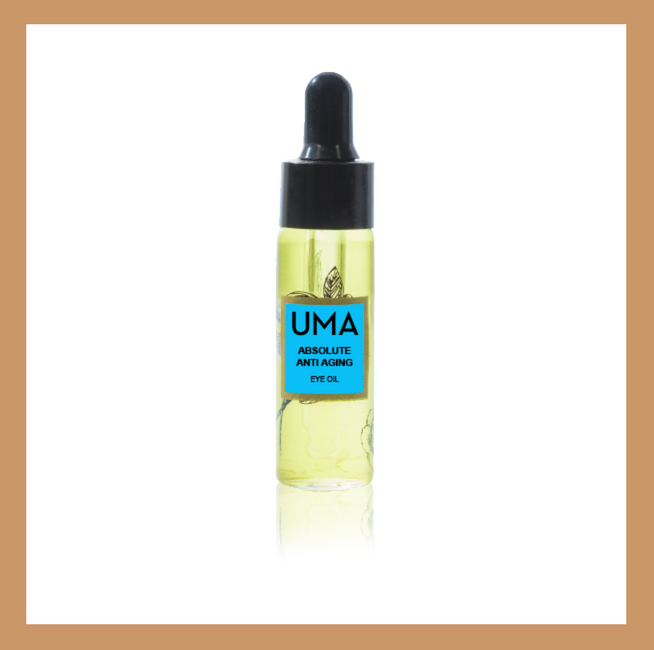 We’re starting to get on board with under-eye-oils versus creams, and if you’re botanical freaks like us, you’ll definitely want to invest in Uma Oils Absolute Anti Aging Eye Oil, a potent and luxurious formula. We covered all other bases but let’s not forget our lips! Much like our skin, our lips fight against a lot of elements during the day on top of the food and drink we drink, therefore it’s equally important to destress our smackers while we sleep. One easy way of conditioning and revitalizing our lip-skin is by applying generous amounts of balm every night. 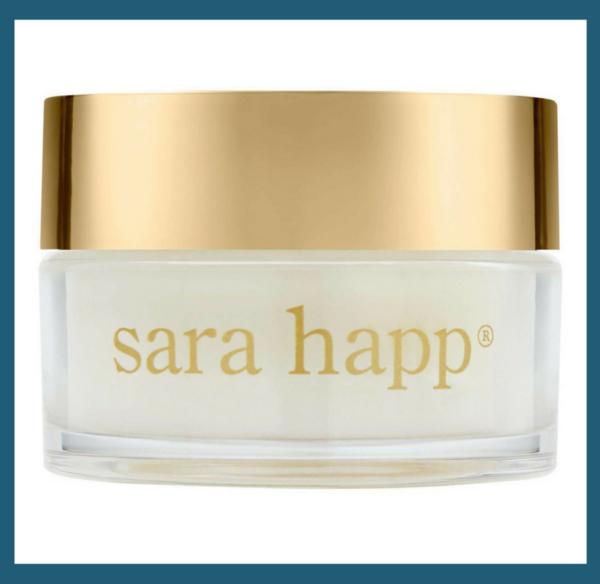 Sara Happ The Dream Slip Night Lip Treatment is specifically designed to rejuvenate your lips while you slip into a sweet slumber. With jojoba glaze and the lip repair lipid PGE, this product promises to melt in and hydrate overnight. SOLD! If you happen to be “blessed” with a little red friend, your skin could be indicating that you may want to give yourself some self-love. But when you can’t go back in time, a one-and-done spot treatment can nurture your new little friend. 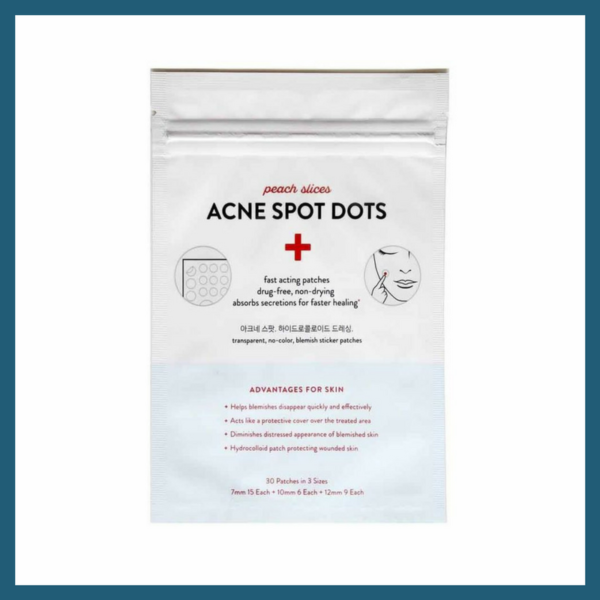 Peach Slices Acne Spot Dots is a must-buy if you’re looking to minimize those pesky pimples. These small patches pack a punch due to its fast-acting formula. Plus, these little guys can be worn day or night with and over makeup, if your skin needs a little extra lovin’.